Sit back & relax while we cruise around Hervey Bay and Fraser Island on our luxury yacht giving you the chance to take in the beautiful panoramic views. The morning Fraser Island Eco Sailing Adventure is on the waters of the Great Sandy Straits in Hervey Bay and beside Fraser Island. During the warmer months bring your swimmers to try the boom net or aqua mat. Dolphins are a highlight too. Explore the commonly calmer waters of Hervey Bay across to Point Vernon and beyond on your own guided Jetski tour! In this smooth water tour, we carve our way through the beautiful waters of Hervey Bay usually seeing beautiful wildlife. The ultimate cultural experience. Sit back, relax and watch the sunset set over the calm waters of Hervey Bay. 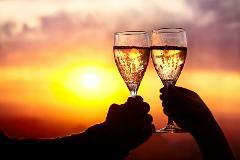 Complimentary glass of champagne and canapés included. Join us on a 4 - 5 hour eco tour and discover the wonders of the Great Sandy Marine Park. 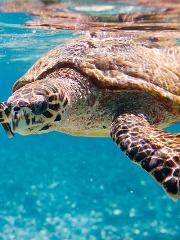 Snorkel the coral reef and view the tropical fish, you are also likely to see turtles, dolphins, dugongs, and sea birds. A healthy lunch is provided. 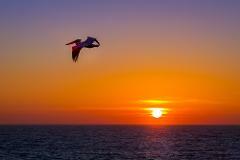 Fraser Island Tag Along Tour 3 Day 2 Night - ex Hervey Bay Join us for our relaxed and friendly adventure on Fraser Island. Adventure by day – comfort by night! Experience Fraser Island with a Fraser Dingo 4WD Camper. Sleep in the back of the car! No tent needed! Priced for 2 people this package includes everything you need for 3 days on Fraser Island to slow down, relax, and enjoy. 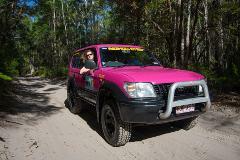 Experience Fraser Island with a Fraser Dingo 4WD Camper. Sleep in the back of the car! No tent needed! Priced for 2 people this package includes everything you need for 2 days on Fraser Island to slow down, relax, and enjoy.